The idea of strengthening “solidarity among world Jewry,” “personal Jewish identity,” and Israel’s “connection to the Jewish people” through trips to Israel is based on a conflation ofJudaism with Zionism. Judaism is a religion. Political Zionism is a movement based on the belief that Jews have a right to settle in modern-day Israel, to the exclusion of the indigenous Palestinians. For instance, during the trip, approximately 10,000 Birthright participants visit the Ahavacosmetics factory each year; Ahava is located in the illegally-occupied West Banksettlement of Mitzpe Shalem. Ahava directly profits from the exploitation of Palestinian Dead Sea resources. Aviva Stahl grew up in New Jersey and now lives in London; she is the US researcher for CagePrisoners and a collective member of Bent Bars. She can be followed on Twitter@stahlidarity. Sam Elliott Bick is from Montreal, Québec. He is a member of the Tadamon! collective, and organizes at the Immigrant Workers Center. He can be followed on Twitter@sam_Bick. MORGAN FREEMAN; YOU SAID ‘NO TO APARTHEID’ ONCE, SAY IT AGAIN! Canadian filmmaker John Greyson has released this short video supporting the Palestinian call on actor Morgan Freeman and Canadian broadcaster and musician Jian Ghomeshi to cancel their participation in a 6 May event hosted by the Canadian Friends ofHebrew University. It’s particularly unfortunate that Ghomeshi should be unwilling to heed the call of Palestinians given his high-profile support for the Canadian First Nations’ Idle No Moremovement. In a radio essay last year, Ghomeshi urged Canadians to listen to the demands of Canada’s indigenous people who for so many years have seen their land rights, often enshrined in treaties, trampled and violated. Update, 28 April: Jian Ghomeshi responds on Twitter …. 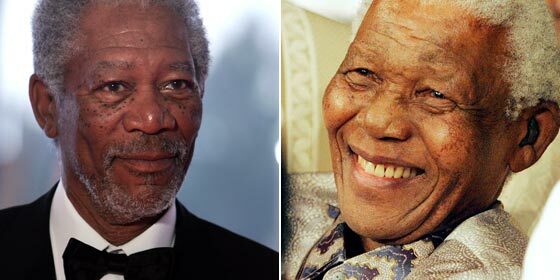 Comments Off on MORGAN FREEMAN; YOU SAID ‘NO TO APARTHEID’ ONCE, SAY IT AGAIN! TWO NEW STREETS IN JERUSALEM ~~ ONE GOING LEFT, THE OTHER GOING RIGHT .. The Jerusalem municipality finally agreed to name a street after the renowned intellectual, philosopher and scientist Prof. Yeshayahu Leibowitz Thursday, ending years of council strife over the matter. Leibowitz, who was an Orthodox Jew, never hesitated to speak out against the occupation and the settlements. Time and again since his passing in 1994, proposals were raised to honor his memory by naming a street after him. However, they were repeatedly shot down by rightist and ultra-Orthodox council members, who protested against the scholar’s controversial utterances denouncing the Israel Defense Forces and the occupation. The municipality also decided to officially honor rightist American business magnate Sheldon Adelson, who is a close supporter and friend of Prime Minister Benjamin Netanyahu. Rightists and ultra-Orthodox city council members have repeatedly protested against naming of street after renowned Israeli Orthodox philosopher who spoke out against the occupation, settlements and the IDF. Councillor Meir Margalit ‏(Meretz‏) said the two proposals were adopted as a sort of package deal, in which each political faction could boast an achievement. Most rightist council members abstained in the vote, while Shas members voted against the move, due to Leibowitz’s criticism of its spiritual leader, Rabbi Ovadia Yosef. Mayor Nir Barkat, who was a student of Leibowitz’s in “the philosophy of biology,” pledged to pass the motion. At the beginning of April the council withdrewthe motion at the last moment, after rightist and Haredi council members united to vote against it. Barkat had promised to raise the proposal again soon. The street bearing Leibowitz’s name will be in Givat Ram, possibly on the Hebrew University campus, where Leibowitz worked as a scientist. The city also decided to set up a park named after Ornan Yekutieli, a former Jerusalem councillor and a key activist in the battle against religious coercion in the capital. Yekutieli, one of the most important leaders of Jerusalem’s secular public in the 1980s and ‘90s, had asked to be commemorated in a public garden where people could speak and debate, Hyde Park-style. Comments Off on TWO NEW STREETS IN JERUSALEM ~~ ONE GOING LEFT, THE OTHER GOING RIGHT ..
Leo Branton Jr. with Angela Davis during her 1972 trial on murder, kidnapping and conspiracy charges. She was acquitted. 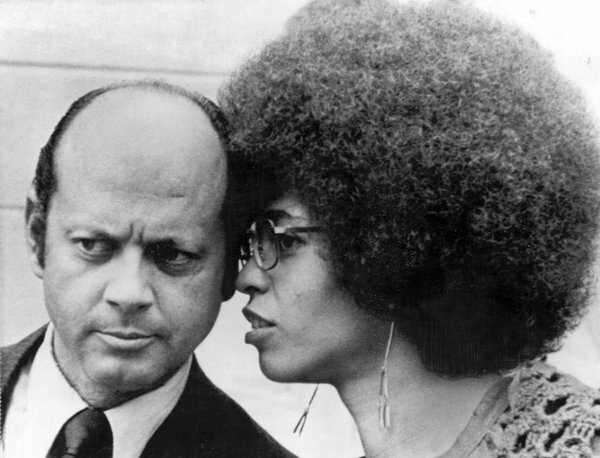 Leo Branton Jr., a California lawyer whose moving closing argument in a racially and politically charged murder trial in 1972 helped persuade an all-white jury to acquit a black communist, the activist and academic Angela Davis, died on April 19 in Los Angeles. He was 91. His death was confirmed by Howard Moore Jr., another lawyer who represented Ms. Davis. Mr. Branton, a black veteran of World War II who served in a segregated Army unit, represented prominent black performers, including Nat King Cole and Dorothy Dandridge, argued cases on behalf of the Black Panthers and the Communist Party, and filed numerous cases alleging police abuse. But the case with which he was most closely associated was that of Ms. Davis. Ms. Davis, a 28-year-old former instructor at the University of California, Los Angeles, was accused of murder, kidnapping and conspiracy in the 1970 death of a state judge who was shot with one of several weapons she had bought. The year before, Ms. Davis had lost her teaching job after she expressed support for the Communist Party. After the charges were filed, she became a fugitive, one of the F.B.I.’s 10 most wanted. She said the weapons had been stolen from her. Her flight had been an important part of the prosecution’s case. But Mr. Branton, who had argued numerous cases of police abuse in the 1950s, urged jurors to view her behavior in the context of centuries of slavery, racism and abuse against blacks. At one point he showed jurors a drawing of Ms. Davis bound in chains. Then he removed the drawing to reveal another showing her freed. Some jurors cried, and after she was acquitted, so did Ms. Davis. She also hugged the jurors. “Angela Davis Found Not Guilty by White Jury on All Charges,” said a headline in The New York Times on June 5, 1972. Decades later, Mr. Branton said the case stood out to him not just because of the verdict or the distinctiveness of his final appeal, but also because of the defense’s preparations. During jury selection, defense lawyers hired psychologists to help them determine who in the jury pool might favor their arguments, an uncommon practice at the time, he said. They also hired experts who undermined the reliability of eyewitness accounts, which were important to the prosecution. “He didn’t want her convicted because of her race or her politics,” he said. Mr. Branton was born on Feb. 17, 1922, in Pine Bluff, Ark., the oldest of five children. He received a bachelor’s degree from Tennessee State University in 1942 before serving in the Army. He earned his law degree at Northwestern University in 1948 and soon moved to California. In 1952, Mr. Branton represented 14 members of the California Communist Party who were accused of advocating the overthrow of the government through force. They were convicted in lower courts, but the convictions were vacated by the United States Supreme Court in 1957. His survivors include three sons, Leo L. Branton III, Tony Nicholas and Paul Nicholas; a brother; a sister; and five grandchildren. Geraldine Pate Nicholas, his wife of more than 50 years, died in 2006. Mr. Branton began representing Nat King Cole in 1958 and eventually helped him secure ownership of his master recordings from Capitol Records, said Mr. Moore, his fellow lawyer in the Davis case. Many years later, Mr. Branton represented the estate of Jimi Hendrix until he and others were sued by members of the Hendrix family. The suit was dropped in 1995. Mr. Moore said he first met Mr. Branton when they represented different clients in civil rights cases in Mississippi in the 1960s. Mr. Branton was already well known for his work in Hollywood and before the Supreme Court. Support the Israeli Occupation; It’s Tax Deductible! It isn’t every day or night that a tax-exempt non-profit American charity rakes in $27 million in the space of a few hours. When it happens in New York at such a well known landmark as the Waldorf-Astoria, arguably the city’s most famous hotel, it should be news, right? Wrong, apparently, since not a single TV station nor any New York newspaper, all of which are known for their attention to events in the city’s Jewish community as well as their devotion to Israel, saw fit to cover the annual dinner of the Friends of the Israel Defense Forces (FIDF) this past March 12 which raised that enormous sum. Nor, it turns out, did they cover last year’s FIDF fundraiser at the Waldorf which took in almost as much, $26 million, nor the one in 2011, celebrating the 30th anniversary of the organization that featured the presence of six former Israel Defense Forces Chiefs of Staff and collected $23 million. More than five weeks after latest dinner, the only paper trails that can be found to the event were in the Jerusalem Post, Ha’aretz (a week later), the New York Jewish Week, and the Forward, the city’s national Jewish weekly which is known for printing articles that the mainstream press and other Jewish publications find too hot to handle. The Jewish Week’s reporter, Tim Boxer, in fact, did not mention the amount raised at the black tie, $1000 a plate affair, until the very last paragraph of the story. The FIDF is an organization that most Americans, including Jews not affiliated with the Jewish establishment, have probably never heard of and that is obviously the intent of those who run what has, in the last few years, become one of the brightest star in the pro-Israel fundraising firmament with a $60 million annual budget, all of which, it cannot be overemphasized, is tax-exempt. True to that motto, the money this “charity” raises benefits exclusively the soldiers of a foreign country that has not fought a war longer than 33 days in 40 years and whose primary duties have been to protect Israel’s illegal settlements, demolish Palestinian homes, make the lives of ordinary Palestinians miserable, and suppress Palestinian resistance to its ongoing ethnic cleansing by whatever means necessary. In 2011, the last year reported, it raised just over $62 million and had $80 million in assets at the end of the year, $546,000 of which goes in salary to its national director, Retired Israeli General Jerry Gershon, plus an additional $10 thousand a month for his New York apartment, according to the Forward. Given that every year, irrespective of the ups and downs of the US economy, Washington awards Israel’s military establishment with more than $3.5 billion (when it’s all added up) of the taxpayers money, the FIDF’s desire to keep its fundraising activities under wraps and invisible to the larger American public is readily understandable. That they are able to do so with apparent impunity is but further evidence, if such is needed, of the degree to which supporters of Israel dominate our national media. Considering that an estimated 870,000 US veterans are suffering the after effects, physically and mentally, of multiple deployments in Iraq and Afghanistan and comprise a significant segment of the nation’s homeless, the very existence of the FIDF and the nature of its primary concern—the welfare of Israeli soldiers—might be viewed as an insult not only to US servicemen and women, but to ordinary Americans who are forced to confront the increasing costs of medicines and medical care, higher gas and food prices, and underfunded schools, not to mention the more than 300,000 who lose their jobs and forced to file for unemployment benefits every week for the past several decades. There are some other things about New York’s FIDF dinners that are unusual. With the exception of Monica Crowley, the right-wing Fox News commentator who is routinely brought in to preside over the post-dinner programs, it is largely an inside job. Unlike at other pro-Israel events, there was an absence at the dinner, at least in the reports in the Israeli and Jewish press, of key New York Jewish political figures known for their loyalty to Israel, such as Sen. Charles Schumer and Representatives Elliot Engel, Gary Ackerman, and Nita Lowy, as well as Mayor Michael Bloomberg. There was one prominent attendee, however, whose substantial donations to the FIDF should raise some eyebrows were it not apparently at the service of Israel. His name is Rabbi Yechiel Eckstein, the founder and president of the International Fellowship of Christians and Jews, another tax-exempt non-profit that raises money for Israel from American evangelicals while paying him a handsome $491,000 for his services. The rabbi apparently has collected quite a bit from the evangelicals—the friendship often being a one way street–so when he attends an FIDF dinner he is in a generous mood. On March 12th Eckstein’s $5 million dollar pledge topped all the others as did his $8.5 million commitment at the 2011 FIDF dinner and his $9.25 million bequest in 2012. Those kind of numbers would certainly draw the public’s critical attention, particularly when all of this money that is headed towards Israel is tax-exempt and more than that, thanks to IRS rules enacted in 2008, once it leaves America’s shores it’s not traceable. “Want to know how an American charity is spending your donated dollars overseas?,” he wrote. “That’s the effect of an Internal Revenue Service rule change that is making it increasingly difficult for donors and watchdogs to track American not-for-profit dollars after they leave the United States. “Former IRS officials,” he noted, “have criticized the little-noticed 2008 change, which lifted the requirement that charities in the United States report to the IRS and the public the identities of overseas charities to which they have sent money. Nathan-Kazis cites, as an example, the One Israel Fund, which in 2003 reported sending tens of thousands of dollars to settlements in the West Bank, and now needs only to note that it sent grants to the “Middle East” for “Security,” among other purposes, as it did in its 2010 disclosure. In other words, One Israel Fund has no qualms about openly raising funds for projects that are in direct conflict with long standing US policy and yet the government not only has not penalized it but made it easier to cover its trail. In 2010, on the last available 990, One Israel Fund reported that it had sent $2, 340,000 to meet its goals, a $600,000 increase from the previous year. It is not hard to speculate that its donations have grown considerably since then. In its 990 form for 2011, Rabbi Eckstein’s International Fellowship of Christians and Jews made no mention of his donations to the Friends of Israel Defense Forces nor did he so in its annual report which was filled with pictures of children, women and the aged in Israel which the Fellowship claims to support out of the slightly more than $100 million it raises annually. The largest Jewish organization to take advantage of the IRS’s tax-exempt status is the United Israel Appeal, founded in 1953, which is the funding arm of the Jewish Federations of North America. It funnels its donations through the Jewish Agency of Israel, a quasi-governmental organization that predates the founding of the state and was in charge of Jewish settlement in Palestine. In 1963 it was revealed in US Senate hearings that between 1955 and 1962, the Jewish Agency had recycled over $5 million ($40 million in today’s dollars) donated by American Jews to Israel back to the American Zionist Council, (AIPAC, before its name change) to pay for pro-Israel lobbying and propaganda in the US. This led to an unsuccessful attempt by the President Kennedy’s Justice Dept. to force the AZC to register as a foreign agent, an effort that would evaporate following his assassination. Private efforts to follow-up on Kennedy’s efforts have been blocked by subsequent administrations. According to Guide Star, a website that monitors non-profits, the United Israel Appeal took in just under $197 million in the fiscal year ending June 30, 2011, the last year it reported its financials. Curiously, according to Guide Star, the United Israel Appeal at this point in time “is not required to file an annual return with the IRS” and no audited financial statements are available. What a difference 57 years makes. In 1956, when Israeli prime minister David Ben-Gurion was reluctant to obey President Eisenhower’s order to withdraw Israeli troops from the Sinai which they occupied after joining Britain and France in an attack on Egypt, in the “Suez War,” Ike threatened to end the United Israel Appeal’s tax exemption status and that brought Ben-Gurion to heel. One can imagine what Eisenhower would think today of an organization of Americans established to help Israeli soldiers, not American troops, and receiving an exemption from paying US taxes at the same time. The New York and East Coast media have not been alone in protecting the FIDF from possible public wrath. In Beverly Hills, the local chapter has raised sums that while not approaching the amounts raised by its New York counterparts, has not done badly. Its fundraising events, as well, have also been blacked out by the mainstream media, despite the presence of such well known Hollywood stars as Barbra Streisand and Seinfeld’s Jason Alexander, an ardent supporter of Israel who acts as master of cermonies. Last December 17th, at the Century-Plaza Hotel in Beverly Hills, its annual dinner pulled in a record $14 million in pledges which some viewed as the Jewish establishment’s defiant response to entertainer Stevie Wonder who had agreed to be the night’s headliner, but pulled out as a result of a petition by from pro-Palestinian activists and a personal plea by Pink Floyd’s Roger Waters. There should have been two stories there for the LA media. First, that Stevie Wonder had withdrawn from the event, bowing to public pressure and second, that the FIDF dinner, hosted as it is every year by Israeli-American communications billionaire, Haim Saban and his wife, Cheryl, had raised a record sum for the local chapter. It was not to be. Only the local Jewish Journal reported on the event and Wonder’s cancellation. Back in New York, in what was headlined, “A LETTER FROM THE WALDORF-ASTORIA the Forward’s Josh Nathan-Kazis poked fun at the heavy handed security at March’s FIDF dinner. “For defenders of Israel, danger is everywhere, — even in New York City, even on Park Avenue,” he wrote, “even once they’ve passed a metal detector on the second story of the Waldorf Astoria hotel. “In the ballroom, Crowley, in her role as MC, talked with a young drone operator identified as Major Yair, who stood in a spotlight on an upper balcony. ‘Flying these kind of remote vehicles sounds really fun,’ Crowley told Major Yair, referring to the rocket-equipped unmanned warplanes. “’Yeah, it is,’” Yair affirmed. “Yair grew up in a town near Israel’s southern border. His own home was hit with a rocket launched from Gaza while he was away serving in the IDF, he told the rapt audience. Yair spoke about how he identifies targets while piloting his drone, showing side-by-side infrared images of a man in a stretcher and a man preparing to launch a rocket. The blobs in the middle of the images looked similar, but Yair showed how he could carefully distinguish between them. While the political climate is more difficult in Canada, there’s no reason that a major campaign can’t bring successes. If made aware, most Canadians would be uncomfortable with the idea that public money is supporting an openly racist institution. They would also be appalled by the JNF Canada’s direct (and documented) role in displacing Palestinianssince the late 1920s. Seeking to appease his Israeli hosts, Hagel said maintaining Israeli military superiority was a top priority for the Obama administration. “President Obama has made not only maintaining but improving Israel’s military qualitative edge a top priority,” he said. A new major US arms deal with Israel is intended to further enhance the Hebrew state’s ability to strike Iran, even without direct American operational involvement. The multi-billion dollar package include anti-radiation missiles designed to take out enemy air defences, new sophisticated radar for fighter jets, KC135 aerial refuelling tankers and Osprey V-22 tilt-rotor transport aircraft. The deal, however, will not include laser-guided bunker-buster bombs, according to The New York Times. The deal was announced this week during the visit of US Defense Secretary Chuck Hagel to Israel. Hagel reassured Israeli officials of America’s traditional commitment to Israel’s security and to maintaining its qualitative military edge over all its neighbours. The KC135 tankers are reportedly capable of being used in long-range operations by Israel against Iran. The sale of the V-22’s would also mark the first time the aircraft have been released to any country outside the United States. The deal will be implemented in several months. Hagel reiterated earlier statements concerning Iran, saying that all options for dealing with that country were on the table. The American official also said his country would continue to help Israel develop the Iron Dome anti-missile defence system. According to intelligence reports published by the Israeli media, the Iron Dome performed “much worse than expected” during last year’s brief war between Hamas and Israel. Israeli officials claimed then that the costly defence system scored an 80 per cent success rate, a claim strongly contested by the Hebrew media. It is widely believed the continued funding by the US of further research pertaining to the anti-missile system vindicates reports about its dismal performance. The additional military aggrandisement is expected to further enforce the arguments of those in Israel who advocate striking Iran’s nuclear facilities unilaterally, ie without cooperation and coordination with the US. Yaalon is no stranger to war given his role in murdering and maiming thousands of Palestinian civilians when he was chief of staff of the Israeli army in the mid-1950s. Hagel’s visit to Israel is the first leg of a tour that will also take him to Egypt, Saudi Arabia and the United Arab Emirates. Both Saudi Arabia and the Emirates will also sign arms deal with Washington. Washington has always sought to promote Arab-Iranian contradictions at the expense of the Arab-Israeli conflict. According to informed Israeli sources, the weapons these two countries will purchase from Washington will be of an inferior quality in comparison to those sold to Israel. Moreover, Washington will see to it that both countries will not try to transfer these weapons to a third country, especially one hostile to Israel. FULL-FLEDGED ALLIANCE AGAINST IRAN: It is uncertain if the highlighted American-Israeli alliance against Iran will be brought to fruition by carrying out an Israeli or joint-Israeli-American strike against Iranian nuclear facilities. Some commentators in Israel contend that US reluctance to supply the Hebrew state with more strategic weapons, such the bunker-buster bombs, may indicate that the US is trying to pacify Israel, and to convince Tel Aviv to give diplomatic efforts a chance to succeed. However, one of the main goals — if not the main goal — of the current Israeli government is “to neutralise the Iranian danger”. Israel, which possesses a large arsenal of nuclear weapons, along with their delivery systems, doesn’t face a real existential threat from Iran. This means that the hyperbolic and often phobic language used by Israeli officials and leaders to highlight the “Iranian danger” is intended largely to maintain the Israeli state’s military supremacy and hegemony in the region. Thus, if this nightmarish scenario found its way to reality, Israel would then face not one Iran but many, as the possession of a nuclear deterrence by Arab countries would change the rules of the game of politics in the region to Israel’s disadvantage. Earlier this month, the former head of Israeli Military Intelligence, Amos Yadlin, said that while an Israeli attack on Iranian nuclear facilities would only delay Iran’s nuclear capability, “this delay could be important because we may have a regime change”. Nonetheless, most observers and experts doubt whether regime change in Iran would lead to a degradation let alone disappearance of the country’s nuclear programme. Other pundits argue that Iran’s nuclear programme has already reached the point of no return. A final point: It is very likely that the new arms deal will further embolden Israel with regards to the Palestinian issue. Last week, US Secretary of State John Kerry warned that the two-state solution to the Israeli-Palestinian conflict would be dead within two years if action were not taken now. Past experience has proven that the aggrandisement of Israeli military might at the expense of Arab and Muslim countries in the region makes Israel more intransigent, and much less prone to make peace. For the most part, world Jewry is silent about this reality of having an Israeli citizenship held in perpetuity for Jews only that awaits them their entire life. All they need to do to claim it is to visit Israel and request it. Partly because of this warped state of affairs, every Jew in the world is coaxed into thinking that they need to bear-hug Israel, regardless of whether Israel is engaged in war crimes or blatant racism. You are born in a country, say the United States. As such, you become a citizen of that country. You are issued a passport from your country of citizenship which allows you to travel to other countries, as a tourist, a foreigner. Of course, you can apply for residency or citizenship in a foreign country based on their immigration laws and, if accepted, you can be issued a second citizenship. Immigration laws are complicated, non-uniform, and, for democratic countries, go out of their way to be non-discriminatory, that is, unless you are Jewish. If you are Jewish, a very discriminatory law in a foreign country applies to you, without taking your consent and without any formal ties between you and that country. It matters not that you are a citizen of America, Argentina, or Australia; as long as you are Jewish, you have a foreign country that claims to speak for you from the moment of your birth. You could be a sixth generation Alaskan Jew or a tenth generation Brooklyn Jew; it matters not. You, and your entire family for as far back as you can track could know no other place than your hometown in America, and you would still be “represented” by a foreign country, one whose language you don’t even speak. That foreign country is Israel. Then, Amira goes on to give some concrete examples: only Jews have the right to visit the country (something not self-evident for most Palestinians who were born outside the country, or were born there but live in the Diaspora), only Jews have the right to reside and work anywhere in the country, only Jews have the right for immediate naturalization, only Jews have the right to reside or buy property in Jerusalem (Palestinian residents of the West Bank and Gaza are deprived of this right), the list could go on. “Put yourself in their [Palestinian] shoes.” This is what President Barack Obama told a group of Israeli students gathered in a conference hall in Jerusalem during his recent visit to Israel and the occupied West Bank. In an Israeli context, this is a bold statement, one they are not used to hearing. The president made several bold statements in that speech, making repeated reference to the need for Palestinians to be free from Israeli military occupation. The students applauded, several times, to these politically loaded overtures from the president. The right-wing Israeli leadership led by Benjamin Netanyahu, who was not invited to the Jerusalem event, was surely fuming at how President Obama spoke directly to the Israeli public and evoked applause on issues related to the unjust Israeli suppression of Palestinian rights. Encouraging those applauses may have sounded nice to the untrained ear, but one fact remains clear: similar applause would be hard to come by from Jewish communities as represented by leading organizations such as AIPAC and the ADL. If President Obama was sincere about wanting to see the conflict from a Palestinian perspective, then, instead of praising Israel for being a successful country of immigrants, he would have used his charm and oratory skills to portray to the Israeli public how wrong it is for a Jew born anywhere in the world to have more rights in Palestine/Israel than the Palestinians themselves. The reality that the state of Israel lacks defined borders, which happens to be one of the key requirements for statehood as defined by international law, clearly articulates the preferential treatment that Israel has been provided by the international community ever since its establishment. When such preferential attitudes become embedded in a nation’s DNA, exclusivity is bound to reign supreme in every sphere of the state. Like in apartheid South Africa, such exclusivity is a recipe that jeopardizes any nation-state project, including Israel’s. Jewish communities around the globe can stop the damage Israel is self-inflicting upon itself. However, if Diaspora Jews can accept having an Israeli citizenship being held ‘forever’ for them while Palestinians are denied not only citizenship, but basic human rights, then they too are directly partaking in the continued apartheid against Palestinians. 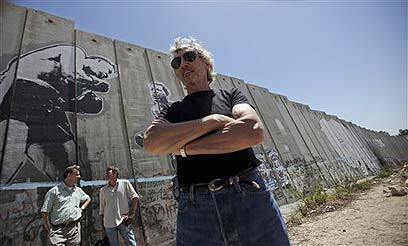 A week ago Roger Waters was featured live on a Huffington Post video interview where it appeared that he was ‘rethinking his position on the BDS Movement.’ Needless to say, the zionist press publicised this widely. I was hesitant to post anything at all about it, adopting a ‘Harry Truman attidude’ …. “I’m from Missouri … Show me!” Well, today Waters did just that! He went on to apologize for the misrepresentations causing “some distress, particularly to my many friends. “To my fellow musicians: Please join me in a cultural boycott of Israel until such time as the Israeli government ceases its illegal occupation of Palestinian lands and reverses its Illegal program of settlement building, both of which, it is widely agreed, constitute insurmountable impediments to any peaceful solution for either the Palestinian or the Israeli people. “Peace for them both is our goal. Not to talk is not an option,” he concluded. The American people stand firmly with Israel. 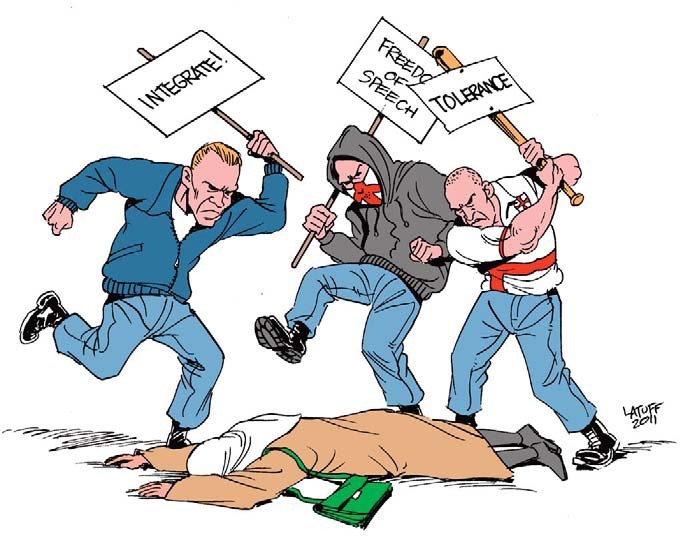 I think they identify with Israel. I think if you look historically, there’s a big change after 9/11. I’m sure that after the bombing, the tragic bombing in Boston, I believe that people will identify more with Israel’s struggle against terror and I think we can maintain that support. I’m pretty bullish about the prospects for strengthening cooperation with the United States. Support for Israel – you all can tell me yourselves – I see polls that show that its almost at record highs… The American people stand firmly with Israel. I think they identify with Israel. I think if you look historically, there’s a big change after 9/11. I’m sure that after the bombing, the tragic bombing in Boston, I believe that people will identify more with Israel’s struggle against terror and I think we can maintain that support. I think there’s strong bipartisan support in the United States for Israel. I think it’s a critical asset for Israel that that support remain bipartisan and I think there’s very important things this president [Obama] has done for Israel these last four years…. Dermer can be heard making the comments in a two and a half-minute video tweeted byHaaretz diplomatic correspondent Barak Ravid. It is unclear if Dermer’s comments were intended for public consumption, given that they reveal a fairly cynical and calculated Israeli government assessment of how to exploit an American tragedy for nakedly political purposes. Among other things … She sponsored a wave of racism claiming Britain was being “swamped by immigrants” – and then unleashed a reign of racist terror by the police on black communities across the country, notably in places like Brixton and Toxteth. At the same time she propped up Apartheid racism in South Africa branding Nelson Mandela a terrorist to the very end. She used the AIDS epidemic of the 1980s as an excuse to attack lesbians and gay men, bringing the anti-gay law, Section 28. And in case students thought they were getting off lightly she laid the foundation stone of the long campaign to transform education from a right into a privilege for the rich by introducing student loans. Margaret Thatcher died on 8 April 2013 and the vast majority of ordinary people greeted her passing with undisguised joy. The right wing media have tried to portray this response as the disrespectful behaviour of a minority. It isn’t. It is a fitting response to the death of a Tory prime minister who spent the entire 1980s wilfully attacking the poor and the working class, in Britain and abroad. During her reign countless people lost their lives directly as a result of her policies – miners killed on the picket lines, ten Irish prisoners driven to death on hunger strike by her refusal to recognise their human rights, sailors on the Belgrano torpedoed on her order as their ship sailed away from a war zone, people driven to suicide by her selfish economic policies that increased inequality massively in Britain. And of course in this city 96 Liverpool supporters died at a football match. She was up to her armpits in a conspiracy to blame the victims and their families for a tragedy that her hateful policing policies caused. And we have only just got an official recognition of how this cover up increased the terrible suffering that the families and survivors of this terrible event have had to endure for 24 long years. Did Thatcher mourn for her victims? No. And we don’t mourn for her. In Britain she destroyed industry after industry to break the power of the trade unions – in steel, in the mines, in the print and on the docks. She passed the most undemocratic and draconian anti-union laws in the west. She deregulated the banks and directly caused the regime of financial piracy that led to the recent financial crash. Thatcher openly targeted our city – a city with strong trade union and socialist values –imposing savage cuts and then ousting a democratically elected Labour council that fought her. She launched her attacks on Liverpool after the Toxteth Rising in 1981, determined to make us pay for having fought back and determined to carry out a policy of the “managed decline” (her words) of our city. After she had waged her neo-colonial war against Argentina in the Falklands/Malvinas in 1982 – a war designed to shore up Britain’s military prowess on the world stage and protect the interests of Britain’s bosses who could smell oil reserves in the South Atlantic and saw the islands as a potential future basis of operations – she returned to war on people she called “the enemy within”, trade unionists, workers, poor people and above all the miners. After all, the excuse that Argentina was ruled by a dictator didn’t wash given her lifelong support for the murderous General Pinochet in neighbouring Chile. This was a dictator she was happy to lavish praise on and arm to the teeth. He killed at least 30,000 Chilean trade unionists after his coup in 1973. Thatcher spent untold millions killing Argentinians and then in 1984/85 bludgeoning British miners into submission after a year-long strike, and all for the same aim – to ensure that the country would be a land of plenty for the rich elite both at home and abroad. Mining communities were wrecked by her pit closure programme and criminalised by a police occupation of their villages when they fought back. And having won both battles she went on, in her third term of office – to impose an unjust local tax on everyone – the poll tax. She brazenly piloted it in Scotland first in act of vengeful spite against a people who had rejected Toryism outright. This was one battle she lost as we fought back with all our might. Make no mistake, it may have been the Tory men in suits who moved against her in parliament, but they were only able to do it because we had made Britain virtually ungovernable through the great Poll Tax Rebellion. During her time in office and even before she became prime minister Thatcher – who famously said, “there is no such thing as society” –did her best to harm all of those who stood for justice and equality? She took free milk away from schoolchildren. She sold off council houses creating a terrible shortage of affordable homes; she privatised industries and utilities so her loud mouthed mega rich friends in the City of London could make killing after killing on the stock markets. She closed down industries and then allowed a heroin epidemic to flourish in the ghost towns her policies had created. She sponsored a wave of racism claiming Britain was being “swamped by immigrants” – and then unleashed a reign of racist terror by the police on black communities across the country, notably in places like Brixton and Toxteth. At the same time she propped up Apartheid racism in South Africa branding Nelson Mandela a terrorist to the very end. She used the AIDS epidemic of the 1980s as an excuse to attack lesbians and gay men, bringing the anti-gay law, Section 28. And in case students thought they were getting off lightly she laid the foundation stone of the long campaign to transform education from a right into a privilege for the rich by introducing student loans. There is not one thing that Thatcher did that was good. Her life was a blot on our landscape. We are well rid of her – and we are outraged that at a time of major cuts in welfare she is being given a multi-million pound send off. What hypocrisy, what an insult to the poor of this country who are having to cope with the bedroom tax and the benefit cuts as over £10million is spent burying a person the majority of people in this country despise. Which brings us to the main point we should all remember as she is dispatched – Thatcher may be dead but her legacy of sacrificing the livelihoods, the rights and communities of the working class on the altar of profit lives on in her descendants. Cameron and his gang of Etonian toffs are trying to finish off the job Thatcher started. It is our job to stop them and hurl Thatcher’s legacy back in their face. Which is why on the day of her funeral Liverpool Trades Union Council renews its commitment to stopping the cuts, axing the bedroom tax, saving the NHS and supporting workers’ struggles here, across the country and across the world. Numerous studies document an increasingly frightened, racist society: large numbers of Israeli Jews would not allow an Arab in their home, neighborhood, or children’s school, favor preference for Jews over Arabs in governmental hiring, and both societies live increasingly ghettoized lives. As we commemorate the 50th anniversary of the protests against Southern segregation in Birmingham and celebrate today’s anniversary of Martin Luther King’s penning of his fiery “Letter from Birmingham jail,” we are challenged by King’s deeds and voice. King was not only deeply committed to nonviolence, to fighting “the triple evils” of racism, materialism and militarism, but toward the end of his life, he also turned his passion to opposing the Vietnam war, thus entering the international realm and the struggle for human rights for all oppressed peoples. Now, 44 years after his assassination and decades of unity between African-American and Jewish communities fighting racism and anti-Semitism, a new challenge is arising. African-Americans are feeling growing pressure to stand with their Jewish brothers and sisters, despite mounting distress over the policies of the Israeli government towards Palestinians. At the same time, the U.S. Jewish community is increasingly agonized and fractured over criticism of Israeli policies and the growing Jewish voice, from activist organizations to campuses, for an end to the occupation and for boycott, divestment, and sanctions towards Israel until there is a just resolution to the conflict. 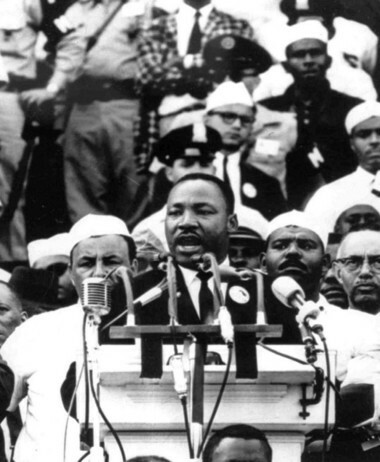 What can we learn from King’s legacy about this contentious issue? In October 2012, under the leadership of the Dorothy Cotton Institute, a delegation of African-American civil rights leaders, theologians, scholars and activists, (many of whom are Jewish), traveled to Israel and the West Bank to see for themselves. Informed by our experiences and knowledge of the segregated South, sit-ins, bus boycotts and nonviolent marches, many were unprepared for the striking parallels we faced. “Why didn’t I know?” was a common, disturbing question. While Israel is usually presented as a vibrant, productive, democratic society, the delegates learned about a reality that is usually hidden from public discourse. We learned that from 1948 to 1966, Palestinians with Israeli citizenship lived under military rule with checkpoints and permits to travel within their own country. There are now more than 35 laws that explicitly privilege Jews over non-Jews. 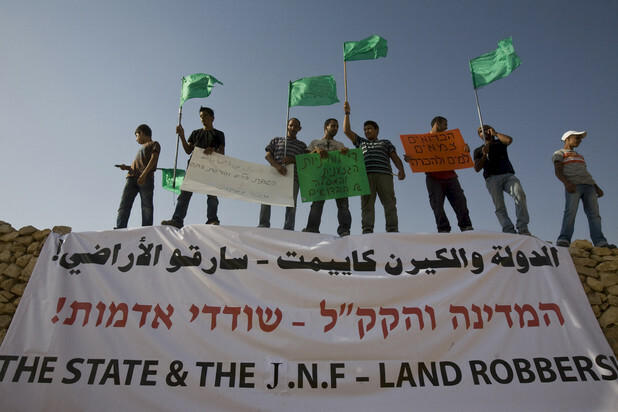 Approximately 93 percent of Israeli land is in actuality for use by Jews only through the work of the Jewish National Fund and various state agencies. There are Jewish towns and Arab towns with major discrepancies in funding, infrastructure and schools, not to mention unrecognized Palestinian villages within Israel that receive no services whatsoever. Our experiences within East Jerusalem and the West Bank were even more troublesome; whether it was the aggressive Judaization of old Arab neighborhoods in the Holy City or the efforts by Israeli authorities to make it increasingly difficult for East Jerusalemites to retain their IDs. We witnessed the extensive systems of bypass roads (intended for Jewish settlers only), separate bus systems, the rapid growth of Jewish settlements, much on private Palestinian land, the crushing checkpoint system for Palestinians and the separation wall snaking through the West Bank. Jewish settlers in the West Bank live under Israeli civil law, Palestinians under military law. Settlements receive ample water, electricity and infrastructure; Palestinian villages are marked by their scarcity. In Hebron where militant Jewish settlers, guarded by heavily armed soldiers, have established an enclave in the middle of the Old City, there are streets that are “Arab-rein” (“clean of Arabs”) and a high level of daily harassment by well-armed settlers toward the local Palestinian population. Given Israel’s reputation as the victim of Palestinian intransigence and terrorism, the other surprise for some members of the DCI delegation was meeting Palestinians deeply committed to nonviolent activism, well-versed in the teachings of King and Gandhi, placing their bodies on the line Friday after Friday in the villages of Bi’ilin, Budrus, Nabi Saleh and others. We learned of years of boycotts and nonviolent marches, campus actions, Freedom Rides and a growing commitment to the Boycott, Divestment, and Sanctions (BDS) movement. Just as King wrote, “Where do we go from here?” today’s African-Americans and American Jews are struggling with the terrible consequences for a society that was once a source of pride and comfort, but is now more publicly reaping the cost of privileging one group of people over another. Discrimination, racism and segregation are the prevailing reality and what leaders from Jimmy Carter to Archbishop Emeritus Desmond Tutu have compared to apartheid. Clearly, powerful forces within our own society, from Christians Zionists to AIPAC to our government-backed global military industrial complex make this all possible. This is further reinforced by a corporate news media frequently parroting the voices of the Israeli government rather than investigating the human rights concerns of Palestinians. But grassroots activists, joining together as part of an international movement, are developing a new discourse which is human rights-based, rather than focused on Jewish victimhood and exceptionalism at the expense of the Palestinian population. Perhaps this can unite African-Americans steeped in the civil rights struggle and US Jews who feel Judaism has been hijacked by the increasingly isolated and dangerous policies of the Israeli state. Alice Rothchild is a Boston-based physician, author, and filmmaker who is active in the US Jewish peace movement. Just a week after receiving an award for his work as a Peacemaker at Yeshiva University, Jimmy Carter is already working towards his next award …. ATLANTA… On the occasion of Palestinian Prisoners’ Day, April 17, The Carter Center expresses concern for the treatment of 4,750 Palestinian prisoners in Israeli jails, which contravenes international law and human rights norms. The prisoners, 106 of whom have been detained more than 20 years, include democratically elected members of the Palestinian legislature, such as Marwan Barghouti, Ahmad Saadat, and Ahmad At-Toun, as well as 235 children. The fate of hunger striking prisoners is of special concern. Samer Issawi has been on hunger strike for some 270 days, and his health has gravely deteriorated. Clashes between Israeli forces and Palestinian protesters have occurred over detainee issues. Should one of the strikers die, wider violence could erupt. Even before the suspects in the Boston bombing are apprehended, the verdict has already been handed down and it apparently has been decided that they are Moslems. According to several Muslims interviewed by the media, when a white man carries out a crime, he is looked at as an individual, but when the suspect is Muslim, the entire Muslim-American community is labeled. Muslims in the US are living in fear, praying that those responsible for the bombings in Boston will be apprehended and shown to be non-Muslim. Over the last few days, reports of harassment of Arabs and Muslims have been coming up throughout the US, especially at places of employment and in schools. Apprehensions were raised among Arabs and Muslims after the New York Post published the photos of two Muslim teens, who the paper’s headlines claimed, were wanted by authorities for questioning in relation to the Boston bombings. A short time after the attack, the main headline on the newspaper’s site had stated that at least 12 people had been killed and that the main suspect was a Saudi who had been arrested by Boston Police. Law enforcement quickly denied the reports, saying they had not arrested a Saudi national, or anyone else. On Thursday, the New York Post published a photo of the two youth, both 17. The paper wrote that Salah Eddin Barhoum and his friend, Yassine Zaime, had been seen close to the marathon finish line. Later the paper retracted its earlier report, saying the two were not the ones being looked for and that the FBI had identified other suspects. But Salah Barhoum, a son of Morrocan immigrant parents and a high school track runner, was so shocked by the publicity, that when he noticed someone in a car outside his high school watching him and talking on a phone, he quickly ran back into the school. The Barhoum family emigrated from Morocco to the US five years ago, and the father, El Houssein Barhoum said he is afraid someone will shoot his son, and that he worries about the safety of his wife and daughters. He himself admits he is afraid to go to his job at a Boston bakery. The BBC also spoke with several random Muslims they met on US city streets. One 10-year-old boy, identified only as Yusef, said when he arrived at his Ohio school after the attack, he was asked questions by classmates regarding his family. During a class discussion on the attacks, another student asked whether Yusef would blow up the school. The teacher, who did not understand Yusuf’s reply, pulled him aside and held him back until his school locker was checked. Since the Monday attack,US Muslims are experiencing an intense change in the treatment they receive from others, as they did after September 11. Memories from 2001 are resurfacing for the estimated 6 million Muslims throughout the nation. The greatest apprehension for Muslims following 9/11 was brought on by the fact that the attackers did turn out to be Muslim. WHAT IF THE BOSTON TERRORIST IS A MUSLIM? There is no doubt that that the bombing at the Boston Marathon was a decidedly criminal act which ought to be condemned in the strongest terms. There is nothing more evil than targeting innocent people. No legitimate grievances or causes justify murdering or maiming innocent people. This is why our thoughts and prayers are with the victims of this violence and their families. We Palestinians who have been victimized by Israeli terror and violence for decades understand what it means to be targeted by casual death and calamity. Indeed, not a single Palestinian family has been spared the pain and anguish accompanying the sudden loss of life as a result of Israeli terror, either at the hands of the Israeli occupation army or Para-military Jewish settlers, hell bent on murdering non-Jews in order to expedite the appearance of a Jewish Messiah who would rule the world and attain redemption for Jews. The Boston bombing has been condemned by every one, including Muslims, the likely suspects, given the Islamophobia and anti-Muslim hysteria permeating through the U.S. media ever since the 9/11 attacks. I do hope that the American authorities will catch the perpetrators and subject them to the full weight of justice. Having said that, I feel that as a Palestinian and Muslim, I must warn against the voices of hate and racism in the U.S. which are taking advantage of this tragic incident to incite against Muslims. These are not truly patriotic American voices. I am not in a position to teach Americans the true meaning of patriotism. However, I believe there is a difference between true patriotism and inciting people to hate and murder. This hateful incitement doesn’t fall under freedom of speech since freedom of speech doesn’t mean freedom to urge people to murder or harm innocent people. Otherwise, we must admit that the Nazis were exercising legitimate freedom of speech when they indulged in promoting the mass hysteria of hatred against their opponents. Erik Rush, a frequent Fox News contributor, is one of these rabid gung-ho bigots of the American media whose tongue apparently functions much more swiftly than his brain does. Well, this is the kind of stuff that one would expect from such hate-filled individuals who should belong to psychiatric sanitariums rather than allowed to spew their racist venom via a TV outlet watched by millions. Make no mistake about it, words can kill, especially when there are too many psychopaths of Rush’s ilk lurking throughout America, awaiting the “right moment” to murder an innocent Muslim man or woman and child. In the final analysis, there is no real difference between killing innocent people at the hands of a terrorist and killing innocent people as an act of revenge. True, the American law is against killing innocent people and the American law-enforcement agencies ought to be applauded for protecting Muslim citizens and visitors from the random violence of malevolent racists such as Erik Rush. However, this is not enough. Venomous, hateful speech inciting to murder should be outlawed immediately. Fox News must be held responsible, accountable and liable for any possible ramifications of Rush’s and like-minded people’s hate speech. A gesture of good-will by the eccentric TV station should take the form of stopping any further association with this unreasonable individual. 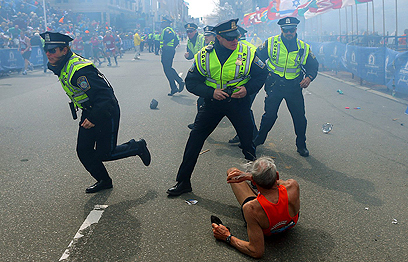 So far, it is uncertain who carried out the criminal act at the Boston Marathon. But this is not the real issue because terrorists are terrorists first and foremost. What would Americans say and how would they react if one Muslim preacher in Amman or Cairo or Sana’a urged a massive congregation to kill Americans wherever they are found in revenge for the killing of innocent Muslims by Americans? To be sure, innocent Muslims are being murdered and killed by Americans and their allies in Afghanistan, Yemen, and occupied Palestine and in many other places. Yet, American visitors and tourists are freely touring the Muslim world, receiving all respect, protection and hospitality. 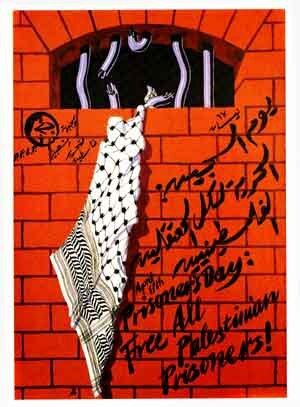 In the course of the past few decades, this writer hosted hundreds of Americans and Europeans and I don’t remember an instance of allowing the criminal American policy in occupied Palestine influence my or my people’s treatment of our American guests. As a student, I lived many years in the U.S. and I know that most Americans are not carbon copies of Erik Rush. None the less, even one spoiled apple can ruin an entire fruit box. I hope and pray that incidents like that of the Boston Marathon, painful and tragic as it is, will not make Americans lose their composures and mental equanimity. This is probably the ultimate goal of the perpetrators. 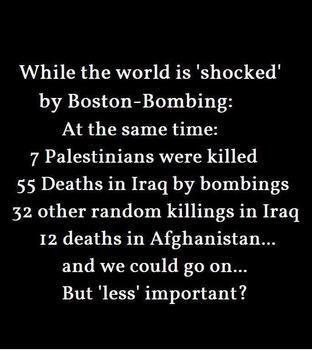 Let us hope that someone in the FBI is smart enough to look more carefully at the clues in Boston and find the real culprits behind these bombings instead of buying the Zionist spin. But if you thought his CNN appointment made him moderate his stance, you would be mistaken. He continues to use all opportunities (including this tragedy) to use smoke and mirrors to hide facts. Many Zionist pundits appeared in mainstream media spinning the same web.